There’s nothing more British than a delicious serving of fish and chips. 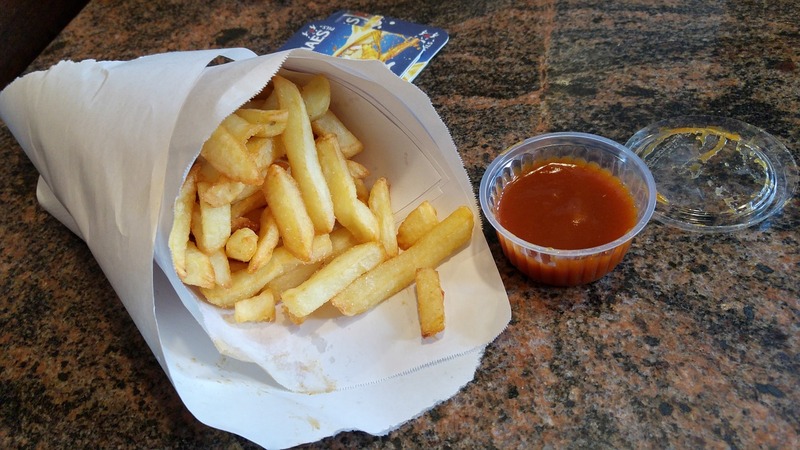 It’s still at the top of the list when it comes to the most popular takeaways, whether it’s a bag of chips by the seaside or a regular Friday night fish supper treat. Fish and chips has even gone gourmet, with some exclusive restaurants popping up that specialise purely in this family favourite, and take it to the next level. Fish and chip shops are often right at the heart of the community, and just like any other business they need to make sure that they are properly protected. Fish and chip shop insurance protects you, your business, your finances and your customers, but it can sometimes be difficult to find good deals that fit your exact needs as a catering business. And that’s where we can help. At Park Insurance we have over 30 years’ experience in finding our customers great deals at affordable prices. We use our influence as preferred brokers to many of the country’s largest insurance providers to find you insurance that isn’t always available on internet comparison sites. It can also be tough to find insurance cover for fish and chip shops that takes into account the unique nature of your business, such as the presence of hazardous equipment like deep fat fryers, sharp knives, and hot surfaces in public areas. If you don’t choose your insurance carefully, you might find that you are not covered in the event of an accident compensation claim, a fire or worse. However, thanks to our specialist training, our expertise and our experience working closely with the catering and hospitality industry in and around Bristol for over three decades, Park Insurance can help. We can look at your business and recommend a tailor-made package that suits your specific business needs. What fish and chip shop insurance do you need? First and foremost, you need the very best Public Liability Insurance cover you can afford. This may not be mandatory for business owners, but at Park Insurance we believe that PLI is the bedrock of all good insurance for catering businesses. Not only does this protect you financially in the event that a customer is hurt or falls sick as a result of a visit to your business, but it can protect your business’ profitability too. A compensation claim could cost you and your business thousands of pounds – PLI protects you against the financial impact of claims. If you employ staff, even if it’s only part-time, on a contractual basis, or even a member of the family, then you must by law have Employer’s Liability insurance. This is the only form of insurance (apart from vehicle insurance) that is mandatory. If you offer a delivery service then you will need to ensure that any vehicles you use have the correct commercial vehicle insurance, even if your delivery staff are using their own cars to deliver fish and chips to customers. Standard vehicle insurance will not cover your van, bikes or cars for business use, leaving your driver uninsured. Whether you’re a new business or an established family operation, talk to Park Insurance today to find out how we can help you find the best insurance deals for fish and chip shops. Simply fill in our Contact form, or call us direct and talk to one of our friendly advisers for your free, no-obligation quote today.